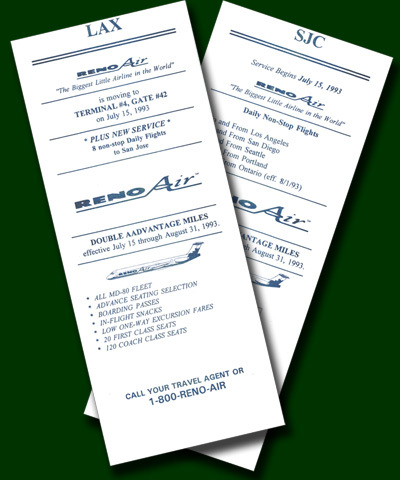 These cards announce service from Los Angeles and San Jose effective July 15, 1993. They most likely were inserts for timetables or ticket wallets. I think there may be others out there, so if anyone knows of any, please let me know. I'd love to add to this collection.